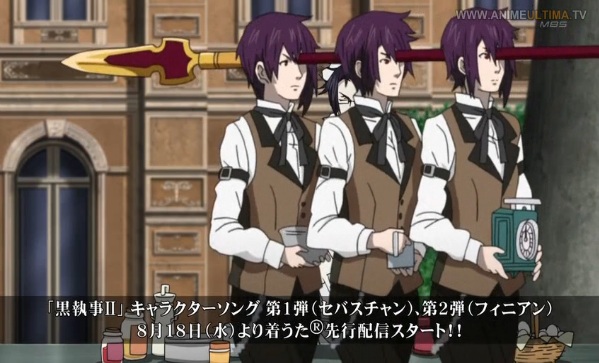 Kyaaa~ Sebby’s got some moves as he wielded that spear that was thrown at him by the triplets. The triplets have the same eyes as Sebby and Claude AND they didn’t die when they were hit by the spear right in their heads. So, they’re probably demons but what about Hannah? Hannah can really fight as she wielded some blades and guns. Is she some kind of an assassin employed by the Trancy household as part of the fighting force? Are you forreals? That is gross that Claude stuck his entire arm down Hannah’s throat to pull out a demonic sword. Why was such a sword stored in Hannah? Did Hannah come with Claude’s contract? NOOOO, >.< Sebby gets cut. 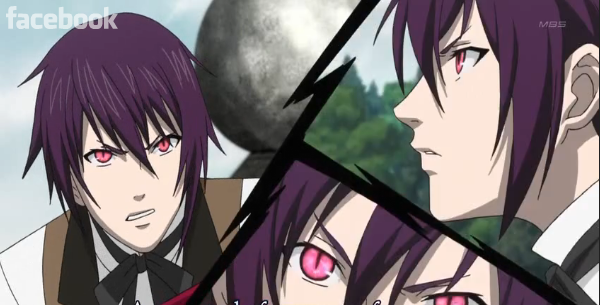 While Sebastian and Claude are in the middle of a battle, Ciel challenges Alois to a duel. Ciel cheats and turns around at five but Alois saw it coming and was one step ahead of Ciel, already point his sword at Ciel. 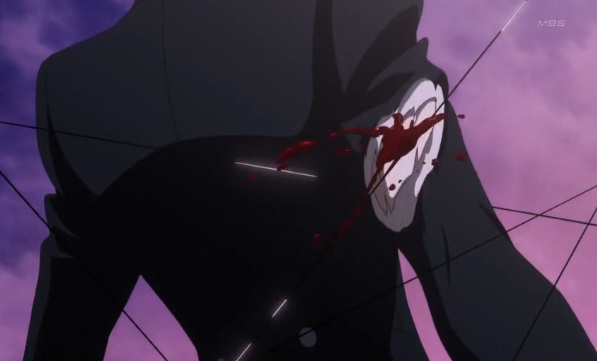 In the end, Alois gets stabbed by Ciel and begs for Ciel to spare his life. [If you're going to accept a duel, you should be prepared to risk your life]. Claude is in ecstasy when he got a taste of Ciel's blood. It appears that he is able to abandon his contract with Alois because of Ciel's enticing soul. Is Alois really going to die? 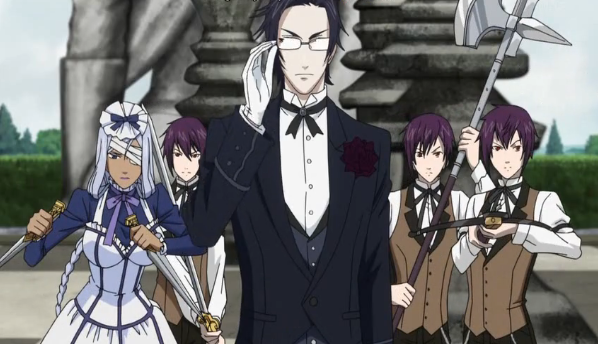 Will Claude really forsake Alois due to his overwhelming desire for Ciel's soul? 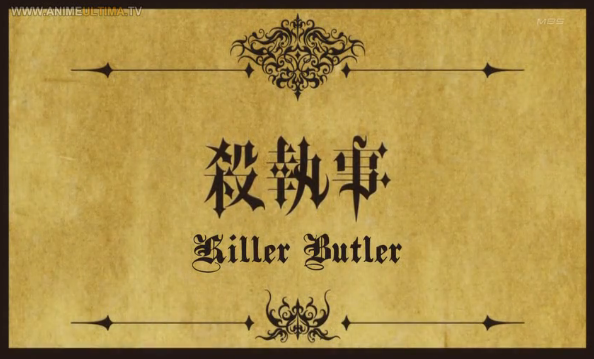 This entry was posted in Anime, Finished, Kuroshitsuji II and tagged Alois Trancy, anime, black butler, Ciel Phantomhive, Claude, Kuroshitsuji II, Sebastian. Bookmark the permalink.